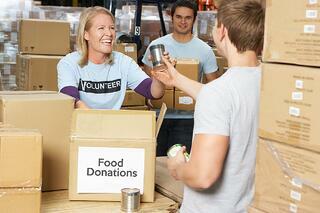 In which states must your charitable nonprofit clients register to solicit donations? The answer is far from straightforward. Attorneys, paralegals and compliance officers with a strong corporate focus, who are providing services mostly to for-profit clients, often find that state nonprofit compliance requirements can be challenging and confusing. In addition to dealing with annual state nonprofit corporate compliance, there is a second component to state nonprofit compliance – the annual charitable solicitation registration. While some of the jargon and form names associated with these two types of compliance are similar and both can take place at the office of the Secretary of State, it’s important not to confuse the two to ensure nonprofits meet all of their state compliance obligations. The District of Columbia and 39 states currently require some form of charitable registration prior to solicitation of charitable donations by most nonprofit organizations. In addition to one time or annual registration, most of these states require filings in the form of an annual report, renewal, update or some form of compliance filing to remain in good standing with the state charity bureau, usually a division of the Secretary of State or Office of the Attorney General. In some of these states, however, nonprofits are exempt from registration based on the type of charitable activity (e.g. religious organizations, hospitals, educational institutions and small nonprofits), but the requirements for exemption vary widely, and in some cases, require an application and annual compliance filings. In light of these consequences, it is critically important to make sure state charitable registration and compliance requirements are met. Those responsible need to thoroughly research each applicable state’s requirements and carefully fulfill these obligations or outsource the responsibility to a service company, such as COGENCY GLOBAL INC., that has the expertise to provide guidance and ensure that all state registration and compliance obligations are satisfied. For more details and examples of the issues you might encounter when registering a charitable nonprofit organization, download the full text of this article. COGENCY GLOBAL INC. does not provide legal advice or render legal services. If you require legal advice, please consult the services of a competent professional attorney.